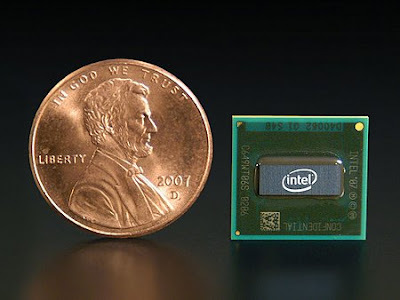 In one of my previous articles, I have mentioned how the Intel Atom processor is fueling the growth of Netbooks. Atom processors come in a range of variants; that are divided into a few families of devices depending on the resources available on the processor, clock speed, whether they support multi-threading etc. Current Variants: The Atom isotopes or the current variants of the Atom processor are 200 family, 300 family, N270 series and Z5xx series processors. A large percentage netbooks have Atom variants powering them. That's how all pervasive it has become. What makes it so attractive! We shall take a quick look here at the features of these processors. According to Intel there are no particular significance to the numbers assigned to these components; performance or otherwise. For example the Z5xx family members are not necessarily higher performance, faster devices that the 200 family. There are different features to these families though and that is what we shall quickly review here. Ideal way of doing it would have been to present you a matrix of the isotopes vs. features available. However, the format of these articles is not quite suitable for a table like that. We shall try our best to highlight the differences anyway. The processor components available so far are Z540, Z530, Z520, Z510, Z500, N270, 330 and 230. Latest member to join the team is the N280. The major features look like as follows. The format used is the processor number followed by clock speed, L1 cache size, FSB speed and max TDP rating. Clock speed in GHz is a straightforward item. They are around the 1.6 GHz mark except for Z540 and N280 which are faster at 1.86 and 1.66 GHz respectively. Z500 has the slowest clock speed at 800 MHz. The cache size specification is that of the first level or the so called L1. This is fairly uniform across the members except for the 330 which has a 1 MB L1 cache. The clock speed indicates a spread of raw processor speeds from 800 MHz to 1.86 GHz. That's quite a range. The L1 cache specs are almost the same except the 330 which should show a marginal advantage over similar clock speed processor when really sequential programs are involved. 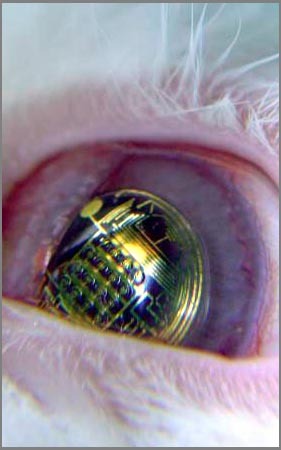 FSB (front side bus) is the interface to memory system off chip. The memory system here is the main memory or the system memory; as they are variously called. This is a specification that largely determines the system performance. Even though the on-chip processor is really fast, FSB speed really determines how fast the complete system will work on an average. N280 can handle fastest interface at 667 MHz while the Z510 and Z500 can handle only 400 MHz transactions. Other components work at 533 MHz. Unique thing about the N280 is that it can handle HD video, combined with the chipset GN40 it can go right up to 1080p video. What is really interesting about these processors is their extremely low power operation. TDP, thermal design power, is a specification for maximum power design inside the chip that should be taken into consideration for thermal designs. Except for 330 and 230 the ratings are at 2.5 watt levels. The lowest dissipation is on Z500. There are other features included in the processors that help manage the power dissipation closely within those specifications. We shall discuss those at some other future opportunity. The processors have all been designed with 45 nm lithography features and the physical chip measures just 13mmx14mm. Truly miniature sized wonders! Debasis Das has worked with technology companies for close to four decades, 25 years of which has been with IT consulting companies. He has managed software and Geospatial industry outsourcing from India for International clientele. He has worked with customers from US, Europe, Japan and China. He is widely traveled and currently engaged in consultancy in software, embedded systems and technical contents.